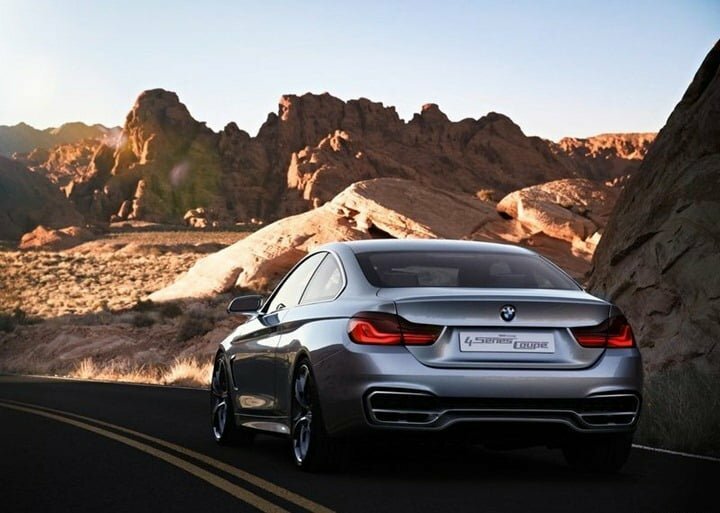 News about BMW considering introducing a new BMW 4 series product line-up to its portfolio was doing the rounds in the media circles for the past few months. 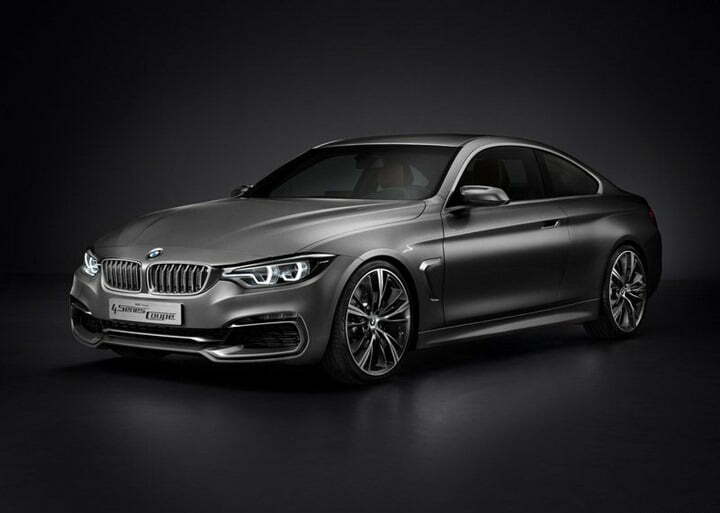 Now, BMW has revealed the official images of the next generation coupe version of the BMW 3 Series and also confirmed that this model will be badged as a 4 Series. This is will go in tandem with BMW’s product naming strategy where the odd numbered Series cars indicate regular and executive class sedans while the even numbered siblings being sportier versions and coupe versions of the odd-numbered counterparts. 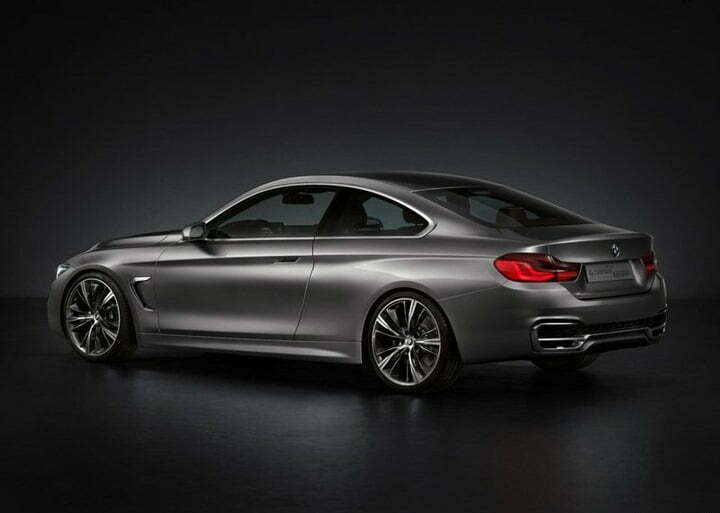 Currently, BMW has however billed the revealed 4 Series coupe concept as just a design study. 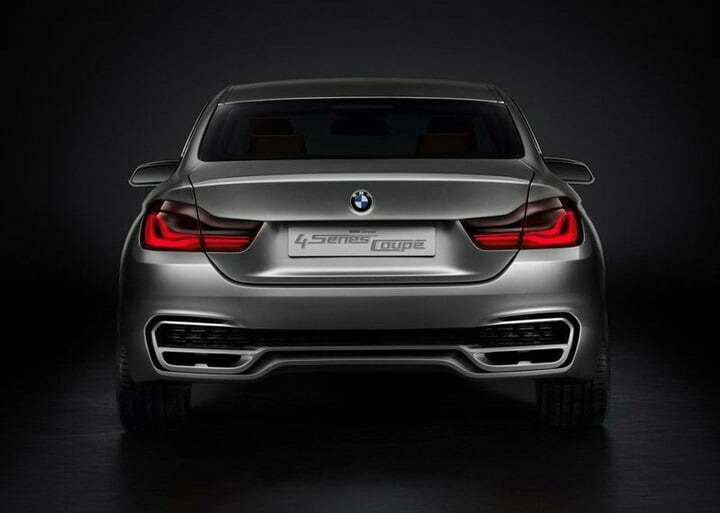 We are of the belief however that BMW will definitely be taking this car to production soon. the design study revealed also looks very much production feasible indicating similar levels of exterior styling to be carried over when the car rolls out in flesh. 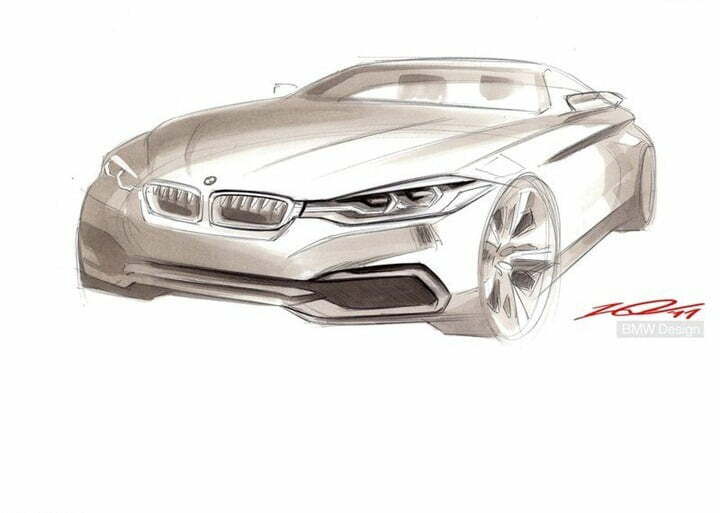 BMW on the occasion of revealing the model stated, “The ‘4’ doesn’t just mark the start of a new cycle; it marks the start of a model with its own individual character and a stand-alone design.” Some bits and pieces like the flared front and rear bumpers might see some toning down. 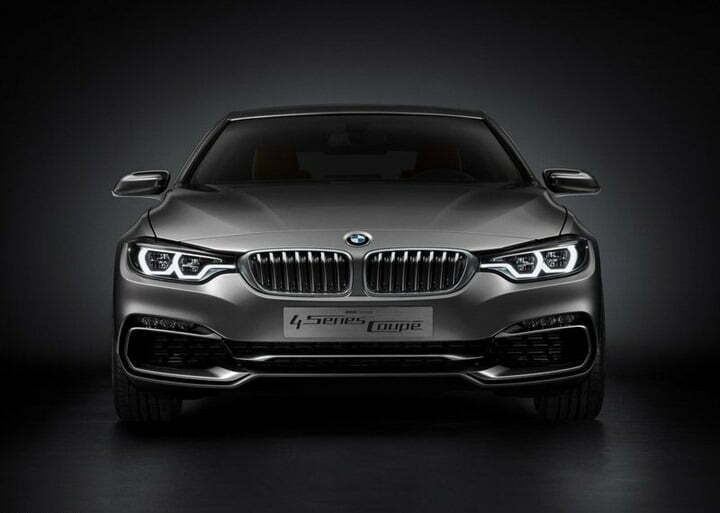 The company has also revealed key dimensions of the concept with its wheelbase at 2810mm (which is similar to the BMW 3 Series sedan). 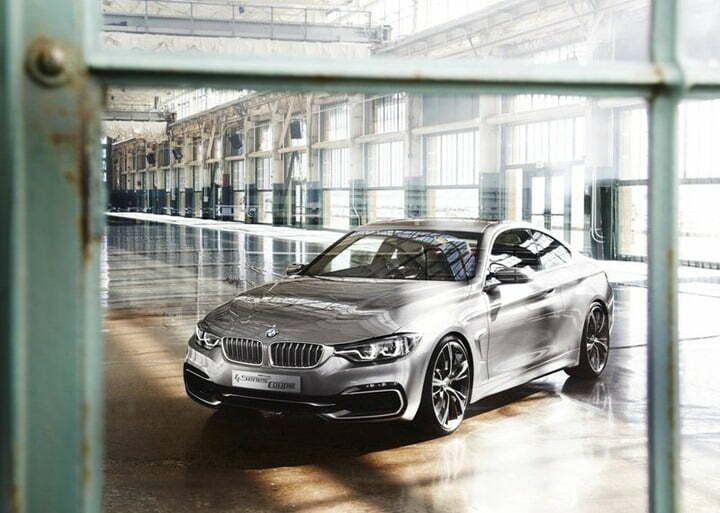 The 4 Series is 4641mm long, 1826mm wide and 1326mm high, the coupe concept being 7mm longer, 15mm wider and a significant 67mm lower than the sedan. The front and rear track lengths stand at 1545mm (3mm wider) and 1593mm rear (10mm wider). 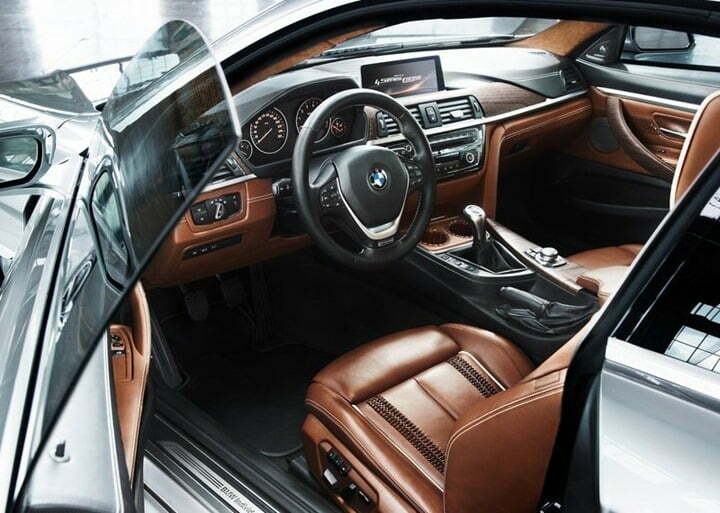 BMW mentioned in their statement, “The front end displays a clear link with the 3-series family, but with a sporting take on the theme with precise contours and multi-faceted surfaces.” On the interior, the car looks similar to the BMW 3 Series with the same instrument pack, minor switchgear and instrument panel’s upper moulding, high-mounted infotainment screen, the radio and air-con modules in the centre console.